Individual tickets for movies cost from $12, but you can get a weekend pass for as little as $37. A whole weekend of movies for less than $40? What are you waiting for? Want a break from your kids June 20-24 and have them learn some important life skills? The Sacramento Natural Foods Co-op Summer Cooking Camp is exactly what you tired parents are looking for. This summer school can help your kids transition more smoothly from regular school hours to their summer vacation while also teaching them something new and fun. By the time your kids complete this course they’ll not only be able to follow a recipe and use basic kitchen math, but they’ll also have the skills needed to put together dishes like crepes, Caesar salad, vegetable spring rolls, calabacitas and gelato. This camp is suitable for children from 9 – 14 years of age, and the entire course costs just $300 per child. The first California State Fair took place in 1854 and is still going strong well over 150 years later. The reason why this state fair has remained so popular is simply because it offers so much entertainment for so little money. There are all the usual fairground rides, the 2016 CA Brewfest, horse racing and horse-related events, a classic car show, competitions, cute animals, amazing food from seventy different vendors, and lots and lots of live music. Examples of some of the headline acts performing at CSF this year include Creedence Clearwater Revival, Dwight Yoakam, Plain White T’s, Styx and The Pointer Sisters. 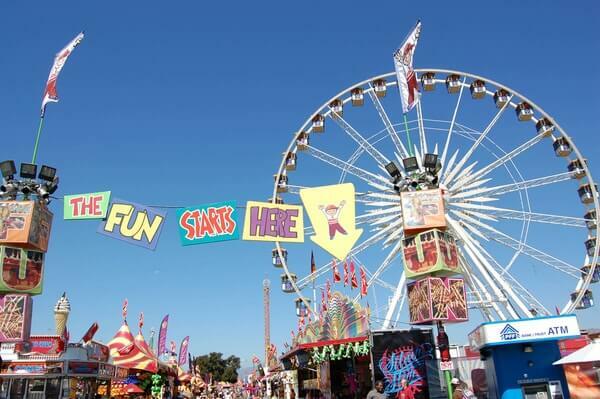 The California State Fair takes place July 8-24, so you have 17 days of fun to look forward to. Daily tickets cost just $10, but you can also get yourself a season pass for as little as $29. The CSF is open from 10 a.m. to 11 p.m. Need more info? Visit the California State Fair homepage. If you’re a creature of culture then you’ll love this exploration of the works of the Bard himself. This particular festival has been entertaining the people of Sacramento since the 1980s, but gained its official title of the Sacramento Shakespeare Festival in 1985. Fans of live theatre can look forward to performances of “Love’s Labor Lost” and “A Midsummer Night’s Dream” the entire month of July at the William A. Carroll Amphitheatre on Land Park Drive. Tickets start at just $15, but group rates are also available if you plan on attending with your friends. Don’t worry – these aren’t starchy performances of Shakespearean classics. They’re enjoyable for people from all walks of life. This is a concert unlike anything you’ve ever seen before. Instead of a lone pianist entertaining the audience, you get to experience 10 world-class pianists performing the same piece of music on grand pianos. It’s not just musicians from the United States performing – there are students and teachers traveling to Sacramento from across the globe to take part. Tickets cost just $20 each, and the event itself takes place in the Sacramento Community Center Theater. This is one event you definitely can’t afford to miss.